RapidWeaver has always included a basic blog page type. It's ideal to use if your blogging requirements are very simple and you plan to only publish new blog articles from within RapidWeaver on an infrequent basis. If you want to blog remotely (outside) of RapidWeaver, then another solution like MicroBlog (free), Armadillo or RW/Writer (available to purchase from other companies) might be better to use and get great reviews from our theme customers. The blog page type supplied with RapidWeaver is very basic, but this article will walk you through a couple of safe 'hacks' or modifications that can be made to make the blog even better. One aspect of the blog page type (that can be a bit of a let-down) are the links generated in the sidebar, on blog pages. To an end user, they can sometimes prove a bit non-descriptive; as to what they do or where they lead. It would be great if we could add some basic section headings to provide a little more information about the links. Indeed, this is something that can be achieved, using some relatively simple CSS code. 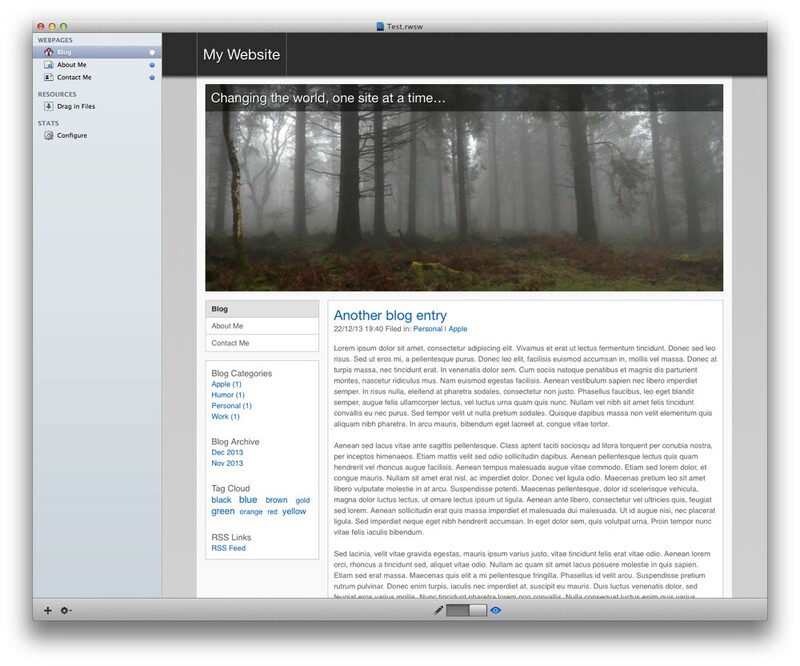 The screenshot below shows a blog (published using the Wilderness theme) without blog sidebar headings. Strictly speaking, we do not normally use CSS for setting content (this is normally the role of HTML). However there's no other method to get these headings into the blog sidebar. CSS provides a useful ':before' pseudo selector. 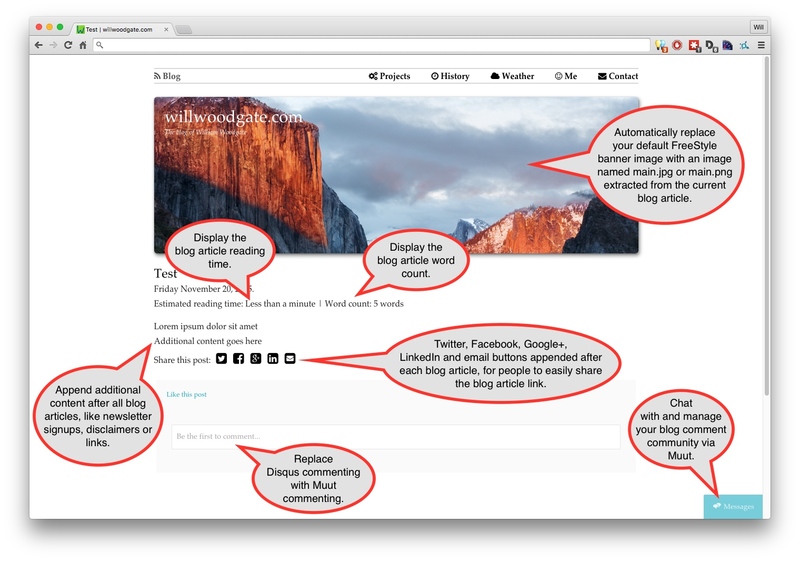 This can be combined with the 'content' property to inject the desired headings into the blog sidebar. The source code is completely opensource. This permits you to open BEK in your preferred code editor. You cna delete or comment-out parts of the plugin you do not want to use and configure the bits you do want to use.